During the Vietnam War, the USA dropped several million tons of cluster bombs over the neutral country of Laos in a massive breach of the 1962 Geneva Convention.. in other words, it’s a great example of the USA’s unique way of interpreting international law (Iraq/Afghanistan/Panama/Yemen/Nicaragua/Hawaii, anyone?). Laos did not have the greatest first impression. People living outside of the major tourist hubs were unfriendly and sometimes outright rude. For context: The USA dropped the equivalent of a planeload of bombs every 8 minutes for 9 years straight. Each individual bomb contained around 600 cluster bombs (or ‘bombies’), 30% of which would not explode. 98% of casualties were civilians. 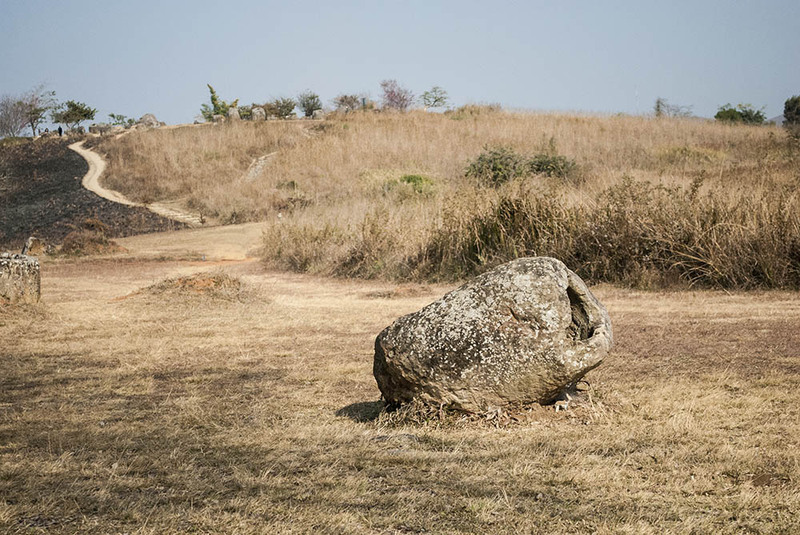 The remaining threat from UXOs (Unexploded Ordinances) scuppered the Laotian government’s bid to certify the Plain of Jars in Phonsavan as a UNESCO world heritage site, which keeps them fairly quiet. A group of you decided to save money by organising your own tour. After waiting several minutes for the tuk-tuk drivers to get out of their hammocks and talk to you, you manage to negotiate a ride to the old capital and Plain of Jars Site 1 for a total of 200,000 kip. Twenty minutes after setting out from Phonsavan, a fat policeman waves you over with a baton wrapped in fairy lights. Your driver takes a well-stuffed envelope out of the glove compartment and makes his way over to the five bored police officers sitting on an assortment of office chairs and plastic stools. After an intensely composed discussion, and the exchange of a small wodge of cash, your driver returned. “We no go Jar site 1.” He grunted. Your driver looked forlornly at the empty envelope still in his hand. Some heated bartering later, and the group settle on paying 140,000 kip to visit the old capital. He takes you to the site of an ancient monastery, of which only a giant crumbling chedi remains. You had not been told this prior to paying the 20,000 kip entry, and so spent forty minutes following a trail to an empty Lao Telecom building. The next two stops on your tour of the Old Capital included a fire damaged office building and a small peeling buddha statue. How the former is linked to the old capital remains a mystery, much like the Plain of Jars- which, fortunately, was rather less disappointing. Your group of six paid another tuk-tuk driver 100,000 kip to take you to the Plain of Jars site one; if you’re travelling on your own, expect to pay somewhere in the region of 60,000 kip. Alternatively, hire a bike and ride there yourself, but bear in mind that you can only enter Plain of Jars sites 2 and 3 with a guide (no matter what your tuk-tuk driver says) as the MAG markers aren’t well maintained. 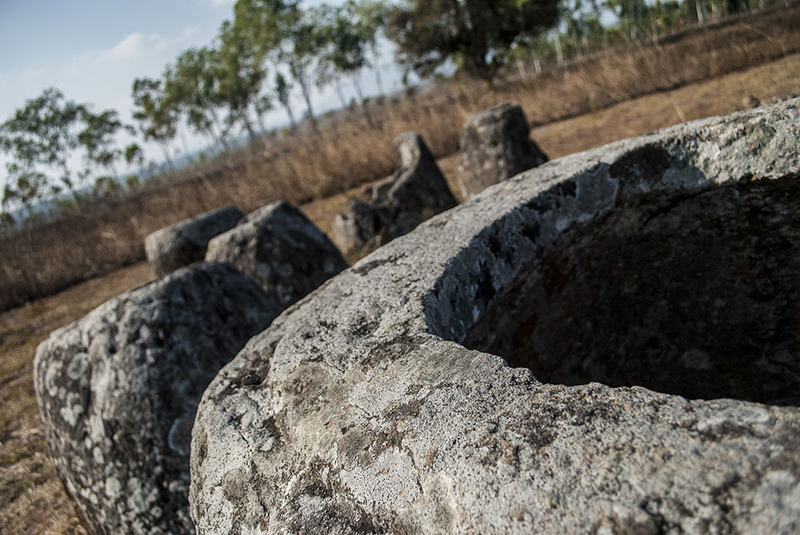 It’s a thirty minute hike up and down a hill before you get to the actual Plain of Jars- a huge field full of ancient carved jars that were- according to legend- used to brew vast amounts of rice whisky for a post-battle victory celebration. A more sensible suggestion is that they were used as tombs. Just putting it out there, not all American agree with the established foreign policy and we vote accordingly. This is a great place to visit, although it is a long journey from Luang Prabang. Great post and pics. I’ve always wanted to visit the Plain of Jars. I agree with The Wife of Bath. Better rephrased as “thanks to the American government of 1962.” Most Americans are not advocates of violence. And many Americans protested these government actions, as they should have. The Vietnam war overshadowed the secret war in Laos, to the extent that I have yet to come across an American who has heard about it. The fact that more people can explain what napalm does than can tell me how a cluster bomb works means (imho) that we need to educate rather than distance ourselves.